Hello everyone! 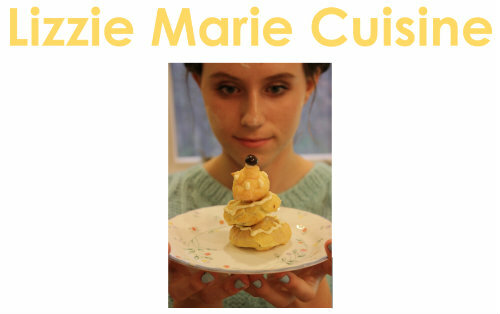 We'd like share an exciting update on a great cause that Lizzie has been working diligently for. 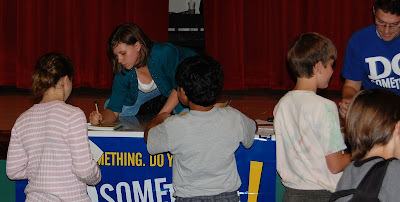 Two years ago, Lizzie received the honor of earning a grant from the Do Something foundation in NYC for her Tasty Tidbits project. Lizzie teaches adults and youth how to have a delicious time preparing fresh, fun and healthy meals while creating healthier communities. 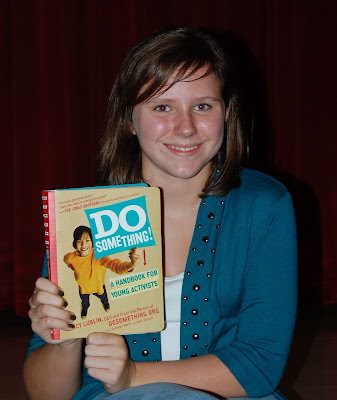 Do Something just published a book (click here for details) and Lizzie is one of the featured youth. The book tour came to Atlanta today, October 19th. Lizzie spoke to students of Inman Middle School in Atlanta to inspire other young people to take action to improve their communities. 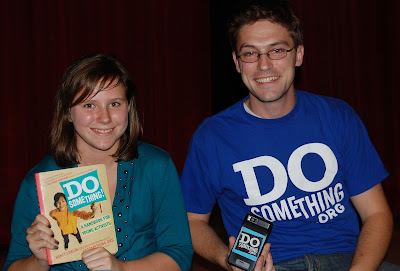 She had a great time signing books with Do Something CTO, George Weiner.